Just check out this line-up Plastic Crimewave has put together for a grand event in London in a couple of weeks!! 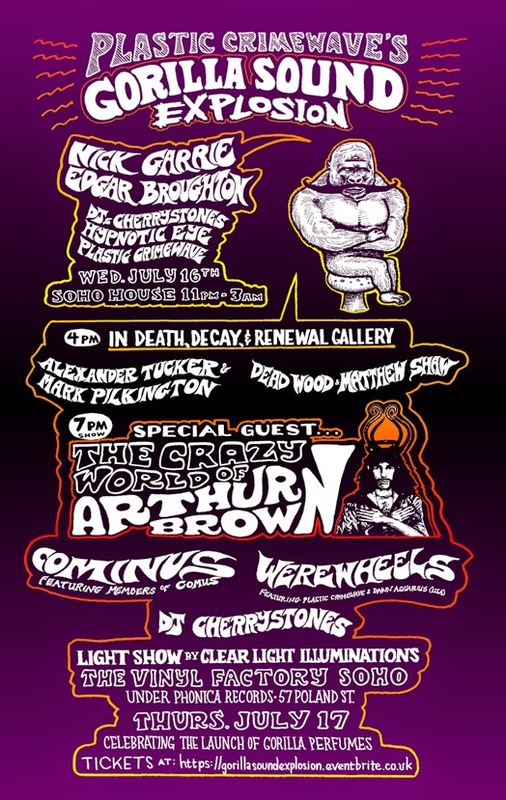 Also on the night there will be a 50+ page "graphic novel" drawn by Plastic Crimewave plus a ltd 2xLP featuring Cherrystones edgar broughton, nick garrie, mark fry, makoto of acid mothers, dark fog, energy gown, ono, plastic crimewave and many others!!! 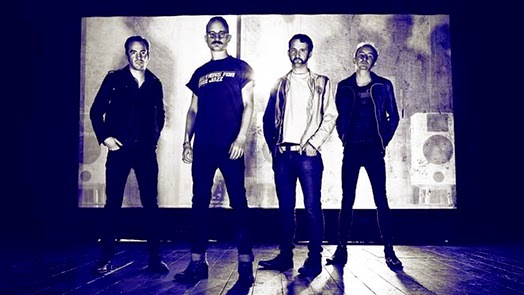 One of our fave British groove n' noise bands Blood Sport who was included on our 10th Anniversary Compilation called Crystallized have recorded this great session in two parts. Part two features that said track 'Dry Water' from the comp. The performance of the Lay Llamas has not struggled to gain altitude on the launch pad of the host club (space 211), attracting our attention for 40 minutes of exciting performance, framed as a pagan ceremonial offices tribal-psychedelic perfectly consistent indications topics on the agenda of the second day under the sign 60's 00's Psych Vs Occult. In other words, the young band led by Nicola Giunta and Gioele Valenti has centered coordinates and purpose of the event with nothing disperse, maximizing short period of time had bequeathed available in terms of a performance contagious and powerful, designed to be accomplished in a sequence philological of key moments. To open the dances is the mesmeric Overmind, introduced by a wavering plot of telepathic spiral joints and the phonetic records of interplanetary communication soon overwhelmed by the space-time raids Archaic Revival, a sort of proto-pawl cosmic or, if you prefer, locomotive psychic hounded by massive scans of bacteriology slap concentric and full of syncopation drumming set the metronome, perfect to be inoculated riff retractable abysmal electronic sci-fi delusions and singing by the lapels magic-sublimatory. 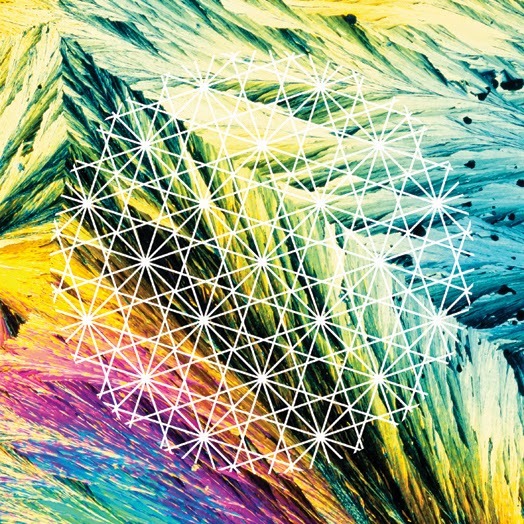 What takes shape on the screen of the mind is a kaleidoscope of colors exploded, shock to subtle energies and frequencies onnipervasive intended to give rise to streams of consciousness coming to the transfer of the projection lysergic sound. Impression soon renewed by the harmonics of the magnetic hologram Desert Of Lost Souls, anatomies of spirits dancing on live rock canyon sidereal and ellipses of melodies-legendary comet, traveled by the vibrato of the strings and gravitational arrows keys mercurial. A mold geometries and funk aftertaste Mediterranean Something Wrong eurhythmies are the kinetics of ethno-section and pizzicato bass-drums rhythm of electrified ideal metric theorem ambrosial scents rising from the semantic clearances of Joel singing. The grand finale is left to trace the symbol of the circle Lay Llamas, whose title, We Are You, par rise as code propitiatory mantra, which knowingly miraculous formula repeated in the course of work, magnified by the pyramids zenith electric guitars, shamanic drums and bursts of laser-cluster intermittently for the last tantra hypnotic around the fire for a solstice party (remember that we are to 21 June) at the height of his career alchemy, as epiphanies of astral conjunctions and stellar vocals that vibrate with the voices of 'soul. A thrilling concert. Excited to announce that Lay Llamas will be joining Teeth of the Sea at the Milhões de Festa festival, in Barcelos (Portugal) next 26 july. The band played a stunning set at Eindhoven Psych Lab recently so this is another chance to see this great band in action. 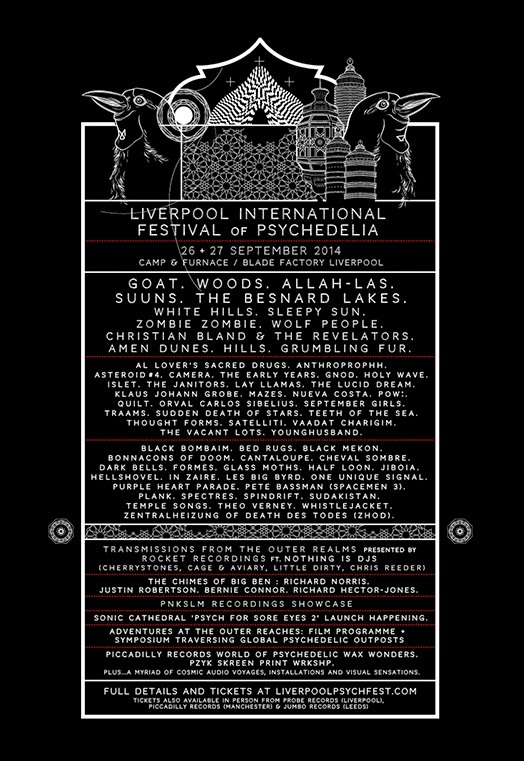 But the people behind the festival have just announced new bands to the bill including Bristols amazing Spectres!! 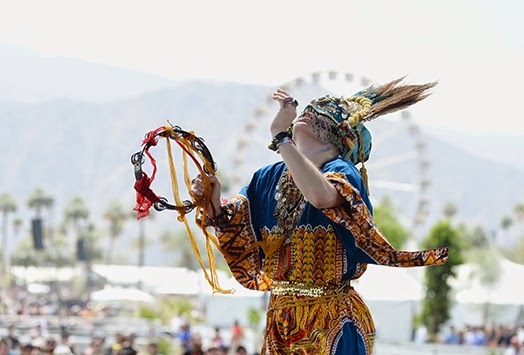 They join other great acts like Thought Forms, Holy Wave, In Zaire, Theo Verney, Lucid Dream, Satellti, Al Lover, Andrew Weatherall, Black Bombain, One Unique Signal and old Rocket band White Hills. 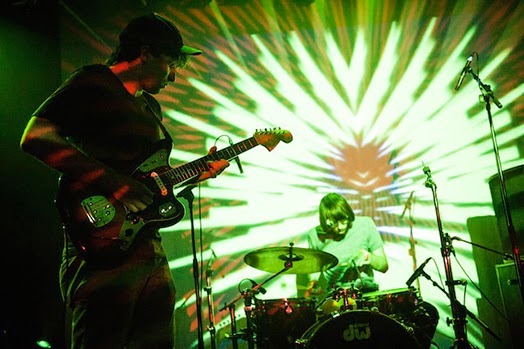 Here is footage of Anthroprophhs mind bending set at this years Eindhoven Psych Lab. 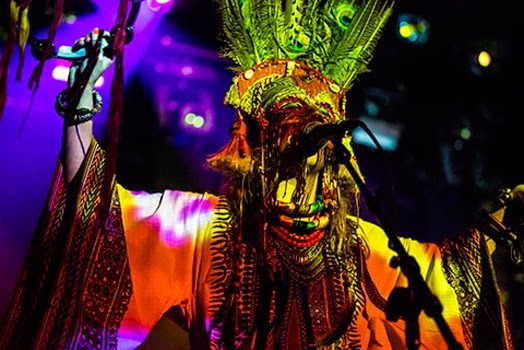 We were totally floored by their set and honestly think it was the best we have ever seen them, maybe even surpassing some of the best Heads shows, Sacrilege we know but no joke, Anthroprophh are on fire at the moment. New album out later in the year. Also we have most of Gnod's incredible set that saw them dust off the instruments and doing a classic Gnod set that included a monster version of Rocket fave 'TONY'S!! Goat have just finished another successful tour of the East Coast of America and Canada. Here's some footage of Gnod's and Anthroprophh's recent show in Worm, Rotterdam, The Netherlands on 08-06-2014. Both bands have new albums out on Rocket later this year. 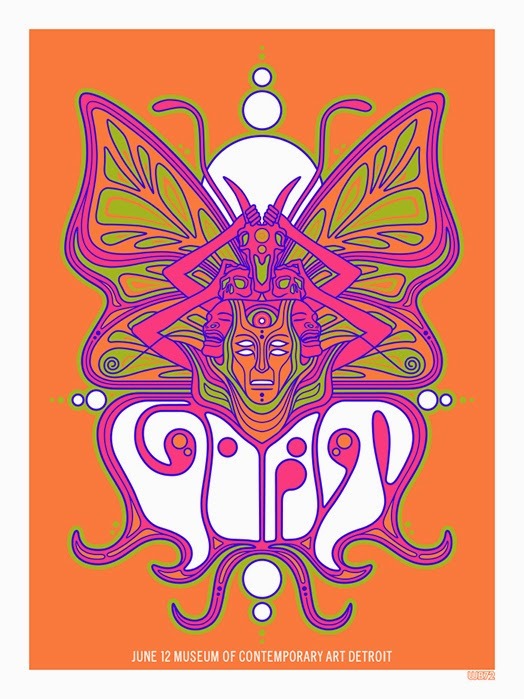 Lay Llamas follow their successful appearance at Eindhoven Psych Lab with a performance at DIO festival in Torino in Italy on 21st June (this Saturday). "...Lay Llamas don’t seem to suffer from that issue in the smaller hall. Their exotic sound has no problem at all convincing everyone of their awesomeness. The maracas, combined with their funky and groovy sound are a crowd pleaser. On the stage the band is energetic and so is their music. Laying down the riffs, they don’t languish, but press onwards. The band sounds like a windy coastal town on the other side of the Mediterranean, where cultures meet and mix sounds. Always on the move, continuously fresh. An elevation half way…"
Following A Field In England, Doomsday, 2001 and Flash Gordon, Teeth of the Sea were commissioned to make a show for the Cineglobe film festival which would be performed to the scientific community at CERN. 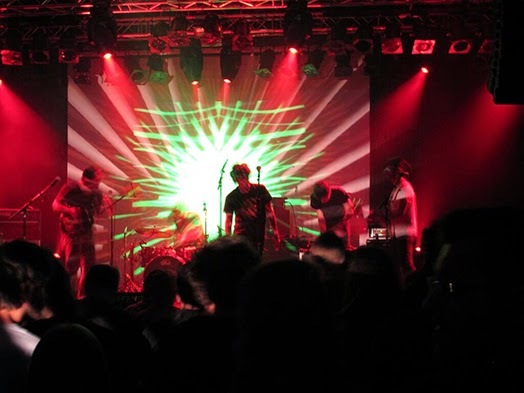 The band performed a live soundtrack to the movie version of George Orwell's ‘1984' at the legendary CERN in Geneva (Switzerland) one of the most famous scientific centres in the world, birth place of the internet and home to the Large Hadron Collider. The band in collaboration with director and visual artist Benjamin Barfoot, attempted to take the intensity, austerity and atmospheric landscapes of Nineteen Eighty-Four to transcend the text’s cultural ubiquity and render it freshly potent. Yet this is no aesthetic Newspeak, rather a portrait of a dehumanising world surrounding us that continues to prove the universal power of Orwell’s message. Reaper director Benjamin Barfoot has made this fabulous short film about the band’s experience at CERN which is also accompanied by the music from the show. The band have an exclusive tour t-shirt available only at these dates! If you are lucky and going to one of these shows, please share any photo's or videos you take and we will put them up on our site etc. 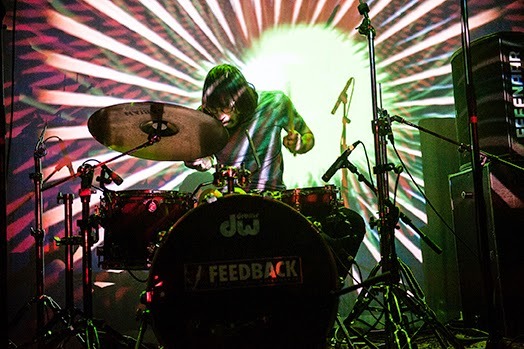 Thanks to all involved at the Eindhoven Psych Lab festival for amazing time and special thanks to the bands and staff on Rockets' 'The Counterblast Experiment’ stage, we had a blast. We’ve added a few clips of GNOD & Anthroprophh grabbed off youtube, but as usual it really doesn’t do them justice. The poster is designed by Weird Beard 72 and comes in 4 colours on French Speckletone white paper but is ltd to only 100 copies. You can also follow him on Twitter (@weirdbeard_72) or on Facebook. After what will be an amazing day at Eindhoven Psych Lab. 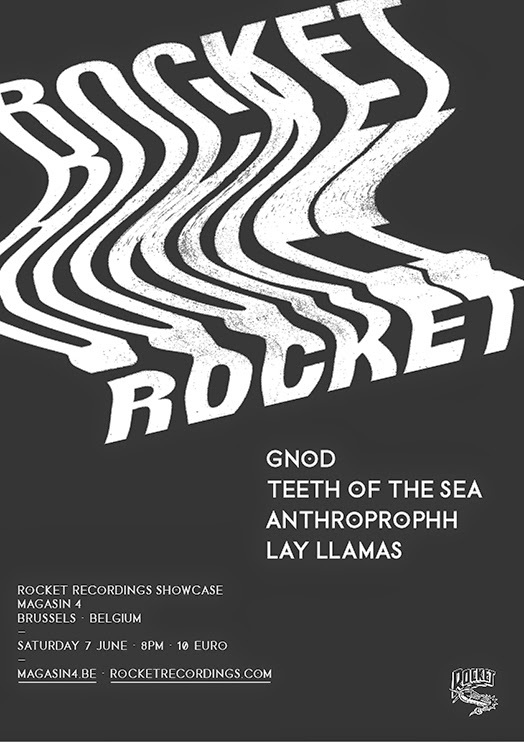 Gnod, Teeth of the Sea, Anthroprophh and Lay Llamas are playing a label showcase at Magasin 4 in Brussels. Spawned unto the world in 1976 like a mutant beast from an unearthly morass of twisted steel on a splatter movie, San Franciscans freaks Chrome have loomed large ever since as a triumph for murky noise alchemy – borne of technology gone wrong, and thriving in a blizzard of information overload. Forced to lurk in the shadows of relative obscurity for the vast majority of the last four decades, the fevered brainchild of twin ne'er-do-wells Helios Creed and Damon Edge, in the band's most celebrated incarnation, created post-apocalyptic junkyard chic still unmatched for outtasight dementia and Stoogian/Stygian bliss well into the twenty-first century. Somehow a band beyond both punk and psychedelia, their twisted racket came closest to the sound of Martians attempting to reinterpret earthling rock music with a load of old washing machine parts, home-made effects pedals and a copy of the Fill Your Head With Rock compilation on scratched vinyl, played backwards. 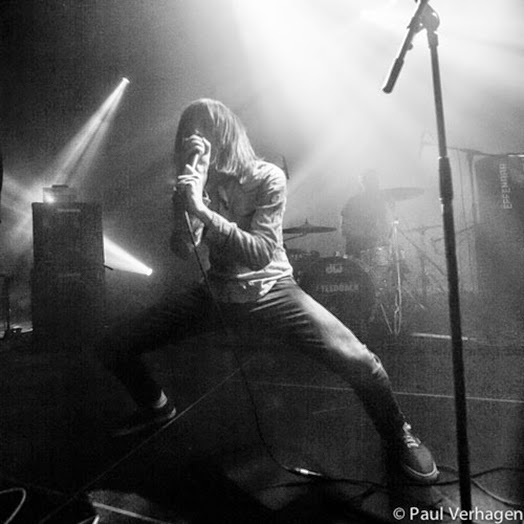 The band will be playing at Eindhoven Psych Lab on Friday and a special Rocket Showcase at Magasin 4 in Brussels with Gnod, Teeth of the Sea and Anthroprophh on Saturday. 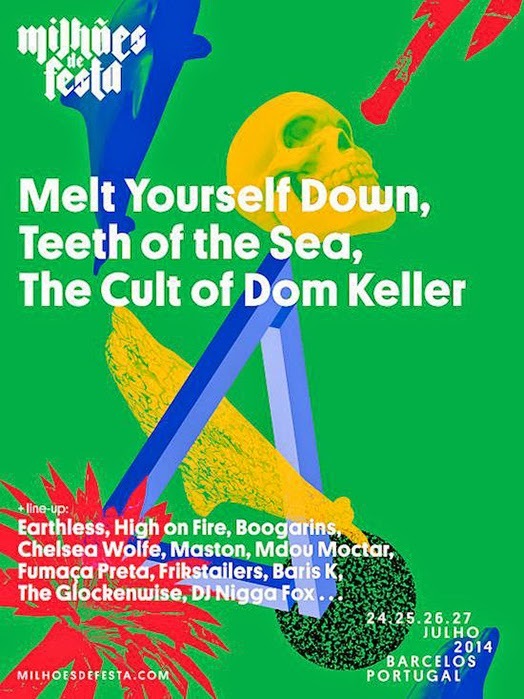 Teeth of the Sea are joining the amazing Fumaca Preta plus bands like Melt Yourself Down and Cult of Dom Keller at Milhões de Festa in Portugal on 24-27 July. Excited to announce that as well as the UK debut of their THE LAST MAN performance at this years Latitude festival – Teeth of the Sea will also be playing their normal set of deranged psych noise on the Friday! 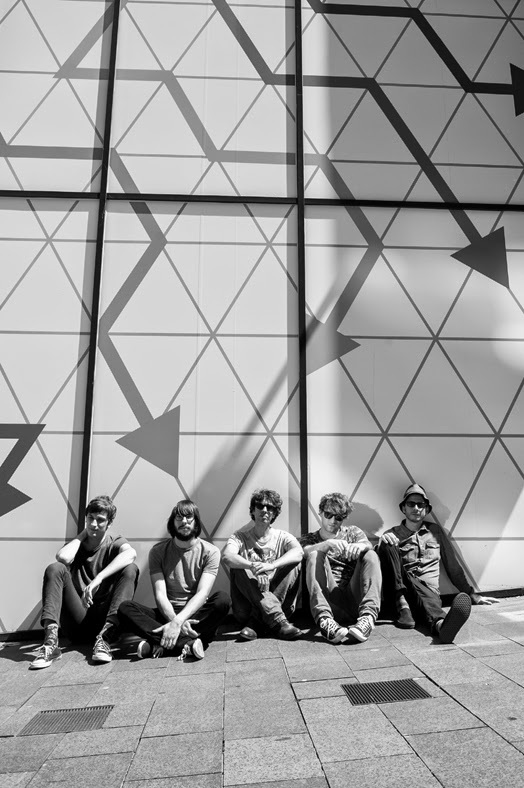 So, Goat and now Teeth of the Sea play the Friday of Latitude…gonna be a bit special!! !